When Lewis Hamilton lines up for this weekend’s British Grand Prix, he can breathe easy in the knowledge that whatever happens during the race, the data his drive produces will be safe and sound. That’s thanks to Rubrik, which is working with Hamilton’s Mercedes F1 team to ensure that the vital information that could make the difference between victory and defeat stays safe and sound. 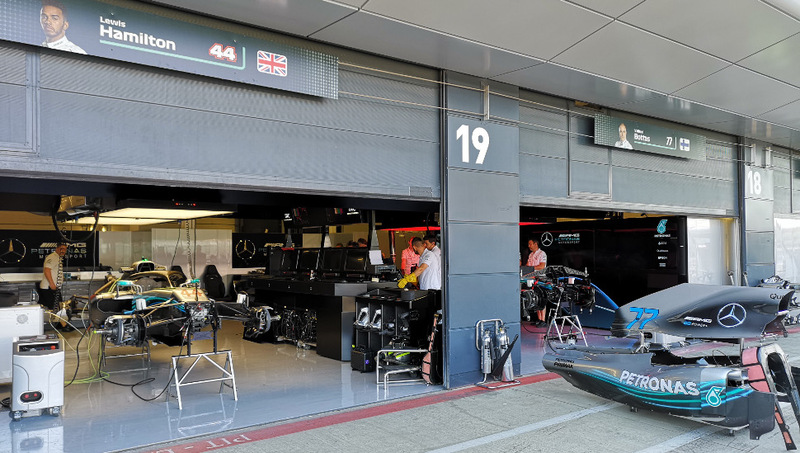 Ahead of this weekend’s race, TechRadar Pro headed to Silverstone to find out just how Mercedes F1 manages to stay on top of its data needs to create a championship-winning team. In the glamorous jet-setting world of Formula 1, data management may seem like a dry and strange area to ensure race-winning performances, but in reality it can make a real difference. “It’s something that’s absolutely critical to what we do – but no-one in the team wants to care about it,” says Matt Harris, Head of IT, Mercedes-AMG Petronas Motorsport. Mercedes began working with Rubrik earlier this year in order to ensure that the vast amounts of data gathered over the course of a race weekend stays protected, as real-time analysis of telemetry data from the hundreds of sensors attached to the car can be used to make split-second decisions on race-critical scenarios such as making pit-stops or spotting a fault with the car. Rijnbeek notes that the data protection and management industry is still largely dominated by 20-year old legacy infrastructure, with many companies utilising services such as tapes and backup software based on platforms first launched in the 1990’s. “That is just absolutely bizarre,” he notes, although the move to cloud-enabled and hyperconverged infrastructure is helping with this. Rubrik looks to combine offerings which normally would have originated from four or five different vendors into one low-cost and easy to deploy cloud-ready platform, allowing customers such as Mercedes to quickly scale their approach to whatever they need. Mercedes already worked with Pure Storage to handle its race weekend data, and Rubrik was able to integrate its services to help assist the team’s exchange servers, doing backups with zero hits on the system, greatly improving efficiency. The team’s previously solution was slow and unreliable, as well as being able to cope with the explosion of data being generating each season – with 50 per cent of backups failing – an unacceptable figure for a company that prides itself on its winning performances. “We’re not a normal sized business when it comes to data size and data growth…we’re very abnormal,” Harris notes, saying that the team normally generates 45TB of data a week – almost unheard of for an organisation its size. This really underlined the need for reliable backups, and Rubrik was able to provide this, backing up virtual machines and data stores that could prove the key to victory. Mercedes takes a mobile data centre to each race, but the bulk of data is still transferred or created to team HQ back in Brackley. Harris, who has been with the team since 1999, notes that in an increasingly technology-friendly sport, the need for innovation with speed and simplicity is key – something Rubrik was quickly able to demonstrate. “We were all so blown away by the conversation we had (with Rubrik)…it really set a benchmark for us as to what we thought we needed moving forwards,” he says. And with Silverstone marking the home race both for the team and star driver Lewis Hamilton, we may well be toasting the role that Rubrik’s backups play if the latter can drive to victory this weekend.